Above is a downloadable Word document containing an article about Lorenzo A. Hopkins (1847-1897), who was the real life model for the character of George Hurstwood in Theodore Dreiser’s novel Sister Carrie. The article includes newly discovered factual information about Hopkins, including his death, information about which has not hitherto been found. It is a significant matter to investigate since, in real life, Hopkins, the model for Hurstwood, was left by his lover Emma Wilhelmina Dreiser (Dreiser’s sister), leading to the decline and death of Hurstwood, which concludes the novel. Also provided here (see below) are images of Hopkins’s death certificate, his gravestone, and the cemetery (Mt. Olivet Cemetery in Maspeth, Queens, NYC) where he is buried. 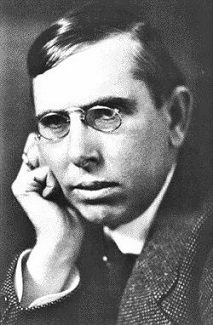 This entry was posted in biographical (including posts with fragmentary but potentially useful biographical information about Dreiser, his family, or associates), original posts (in-depth articles) by Roger W. Smith, Sister Carrie and tagged シオドア・ドライサー, シオドア・ドライザー, シオドー・ドライサー, シオドー・ドライザー, セオドア・ドライサー, セオドア・ドライザー, L. A. Hopkins, Lorenzo A. Hopkins, теодор драйзер, Theodore Dreiser, Theodore Dreiser Sister Carrie on February 26, 2017 by Roger W. Smith. This entry was posted in miscellaneous and tagged シオドア・ドライサー, シオドア・ドライザー, シオドー・ドライサー, シオドー・ドライザー, セオドア・ドライサー, セオドア・ドライザー, теодор драйзер, Theodore Dreiser on February 16, 2017 by Roger W. Smith.